The final home sales figures are in from 2018. As you will discover in this report, the news, for the most part, is encouraging, though there is cause for concern as well. The number of home sales (single family detached homes, condominiums, and townhomes) in 2018 rose 1.4% over the amount posted in 2017, representing the 7th consecutive year of increasing home sales. Furthermore, the number was the highest recorded since 2007. 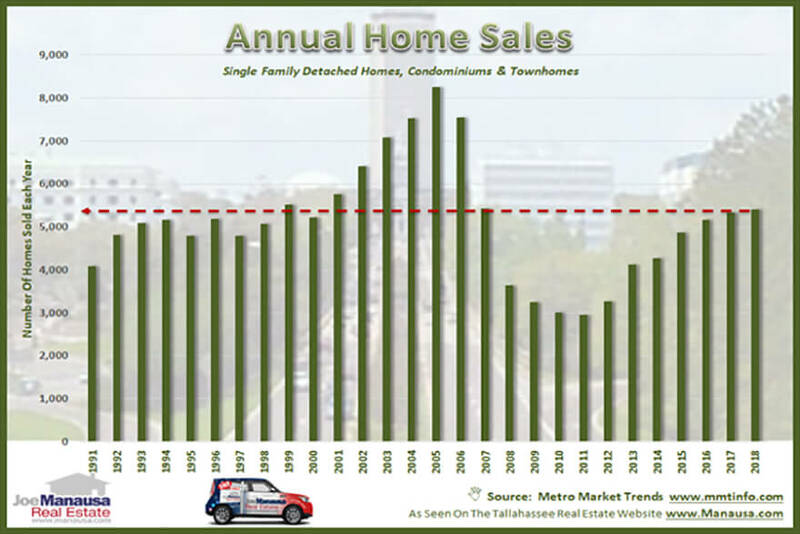 The red-dashed line in the graph above shows how 2018 compares with each previous year, and it clearly shows that there were 8 previous years where more homes sold in Tallahassee than did in 2018. This should rest the fears of our readers who might have concerns that Tallahassee is over-selling its reach as we saw during the housing market bubble. Those high-selling years included speculative buyers who were only buying to flip the properties for a profit, and thus creating artificial demand that builders were happy to oblige with new properties being built at record paces. None of that is going on today, and we actually have an inventory shortage. 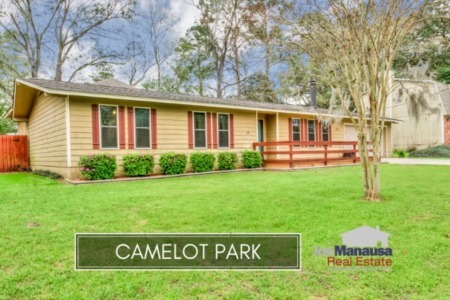 Yes, you failed to sell your home. But that does not mean you have a home that is tough to sell, it just means you started off without having the right plan. 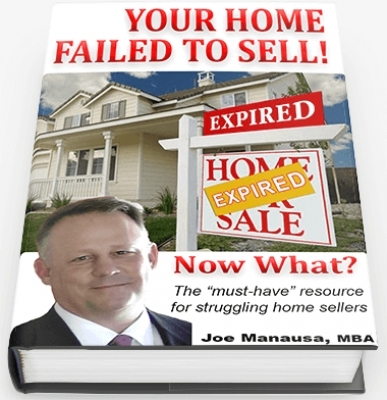 By following the guidance in this booklet, you can get your home sold and move towards the goal which you were seeking when you first put your home up for sale. I promise if you read this booklet cover to cover and follow its advice, you will not fail again. Tell us to whom and where you would like us to send our 60-page booklet for home sellers. After looking at the numbers from 2018, I am encouraged by the sustainability of our growth. The population of Leon County is growing slowly, but it is growing. This means that over time, we should generally expect more homes to sell each year (more people = more people moving). The fact the current rate of home sales is still lower than eight previous years leads me to conclude that there is plenty of upside remaining in our market. I am also encouraged by home value recovery in the existing homes. Too many homeowners were trapped in a home that was worth less than their mortgage, but we are now seeing values return to levels last seen just after the peak of the housing market. While there remain a ways to go to reach previous highs, every percentage tick upwards frees more families to move if they desire. I have cause for concern for sky-rocketing prices in the immediate future. Builders are not replacing the dwindling inventory as their costs have shot up too high to be able to meet the demand of the majority of buyers. Half of Tallahassee bought a home below $225K last year, yet the average cost of new construction is approaching $400K. I believe new construction costs are going to drag existing home values higher at a faster rate. Last year, we saw home values rise at a rate exceeding 10% in numerous neighborhoods, and we expect that to spread due to high demand and declining inventory. 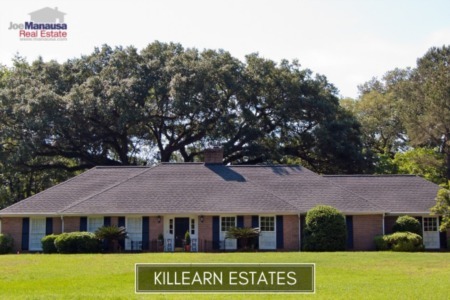 Unless mortgage interest rates shoot significantly higher to slow demand, real estate appreciation in Tallahassee might become out of control at prices below $500,000. The easiest way to keep in touch with what is happening in the Tallahassee real estate market is to subscribe to our weekly newsletter. Unlike most newsletters that are filled with generic information and cheesecake recipes, ours provides a one-page update on an important trend in Tallahassee each week. You can receive it by email, read it in two minutes, and then go about your day with the knowledge that even most Realtors do not possess. 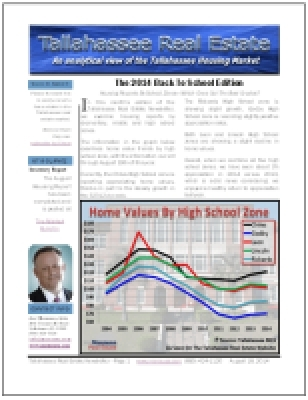 Subscribe to the Tallahassee Real Estate Newsletter today, you'll be glad you did.